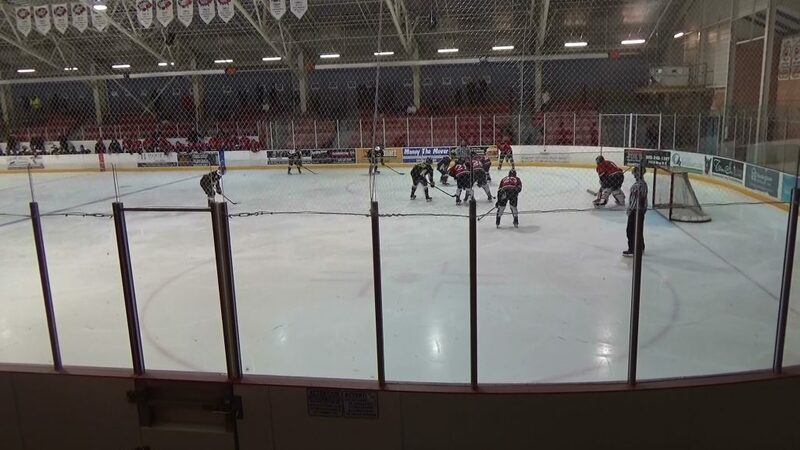 A nice three way passing play from Justin Bennett to Stefan Palatsidis to Jackson Savery, who then fired it into the open side for a 1-0 first period lead started the scoring in Clarington tonight. In the second Esa Patton fed Simon Feig who just got out of the penalty box and he fed a perfect pass to Toby Cooper, who buried it for a 2-0 cushion. The Eagles got on the game sheet just after a 5 on 3 power play ended but the Bruins got that one back on a Palatsidis fast breakout, passing back to Savery for a 3-1 lead. The Eagles made it 3-2 Bruins to end the second period. It stayed that way till Palatsidis scored from the side of the net as he was falling to the ice giving his teammates a much needed insurance goal. Robert Freckelton picked up Mathew Hunter point shot off the back boards and popped it into the empty net for the 5-2 final. Ryan McConkey picked up his 20th win of the season making several big saves from the 35 shots he faced.